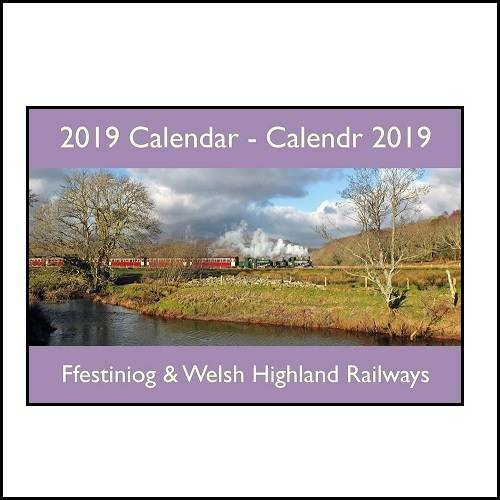 2019 Ffestiniog & Welsh Highland Railways Calendar. Twelve stunning new images in our usual large format calendar. 23 x 34 CM - Printed in Wales on high quality paper.